Gabriele was often seen at public functions by the side of the increasingly frail Pope, helping him climb steps or shading him from the sun. 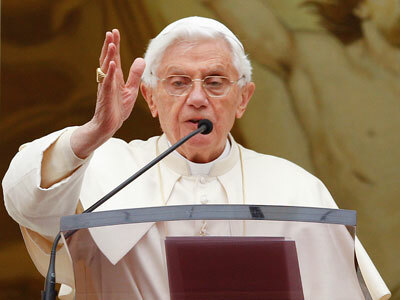 Benedict XVI has released a statement saying that he is “pained” by the betrayal. The butler will likely go on trial in Italy, and may now face up to 20 years in prison for stealing correspondence from a head of state. 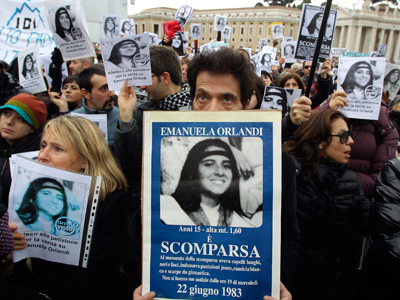 Speculation immediately began in the local media that Gabriele is, in fact, “Maria”, the whistleblower who has been meeting with prominent Italian journalist Gianluigi Nuzzi in a now-notorious empty undercover apartment, passing on highly confidential documents over the past year. Nuzzi’s articles, and a scandalous book published only last week, have rocked the Vatican, painting the Holy See as a viper’s nest of rivalries and corruption presided over by an ineffectual Pope unable to discipline his charges. Benedict branded the book “criminal,” and has promised to sue. 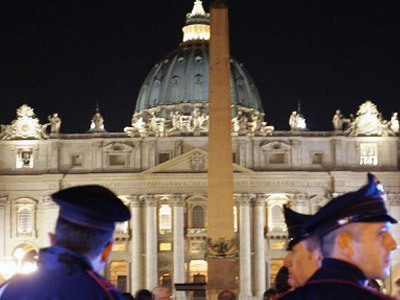 Many of the documents revealed by Nuzzi were letters addressed directly to His Holiness, and being one of a handful of people who have permanent access to the Pope’s quarters, Gabriele makes for a plausible suspect. But some believe “Maria” may be more than a single source. 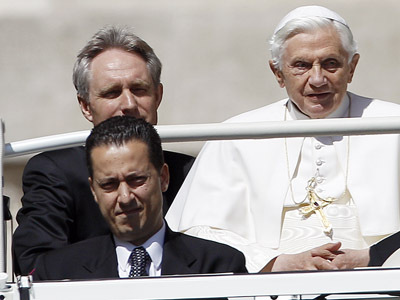 Then again, Gabriele might not be the only whistleblower the Vatican has outed. Ettore Gotti Tedeschi, the President of the Vatican Bank, which is at the heart of many of Nuzzi’s allegations, was fired on Thursday. The official reason was poor performance, but observers suspected ulterior motives. “I have paid for my transparency,” stated Gotti Tedeschi as he left his office. So far, the Vatican has dedicated more energy to rooting out the whistleblower than addressing the allegations raised by Nuzzi. And even if the Vatican has now managed to stem the flow of leaks from inside its walls, cleaning up its stables is a tall order. The Vatileaks letters expose over-valued contracts being awarded to cronies, suspicious bank transfers, and huge donations given by businessmen and celebrities in exchange for an audience with the pontiff. One damaging letter shows a senior sleaze-fighting Vatican official pleading with Benedict to let him remain in his post to combat “corruption and abuse.” Instead, the official was re-assigned to the US soon after. Nuzzi also exposes the Vatican’s moral underbelly. He says one Vatican newspaper editor started a gay smear campaign against a rival editor, placing stories in newspapers owned by Silvio Berlusconi. More than anything specific, it is the overall impression of the Holy See as a secretive, unaccountable and chaotic world-upon-itself that is likely to do long-lasting damage to its reputation. "Never has the sense of disorientation in the Catholic Church reached these levels," wrote the Corriere della Sera newspaper. "But now there is something even more – a sense of systemic disorder." Questions also remain over the whistleblowers’ motives. The documents appear to continually discredit certain officials, such as Cardinal Tarcisio Bertone, the day-to-day administrator of the Vatican, while others are conspicuously absent. Italian Papal experts have speculated that the leaks themselves may have been just another weapon in an internal power struggle, rather than an attempt to bring the truth to light. Many will now look to Paolo Gabriele for answers to these questions, when he takes the stand in what is likely to be one of the most anticipated trials in the recent history of the Catholic Church.